Hey Internet peeps hows your Saturday going? We spent Another busy Saturday preforming the finishing touches to the bedroom renovation project. I’m putting the baseboards on today and it’s tedious work let me tell you. We should be able to move back in tomorrow if all goes well. Time to wind down the work day and relax in front of the fire and watch a good movie. I think we may watch one called Tracks about a girl who walks 2000 miles across the Australian desert. And we think we have had a hard day lol. 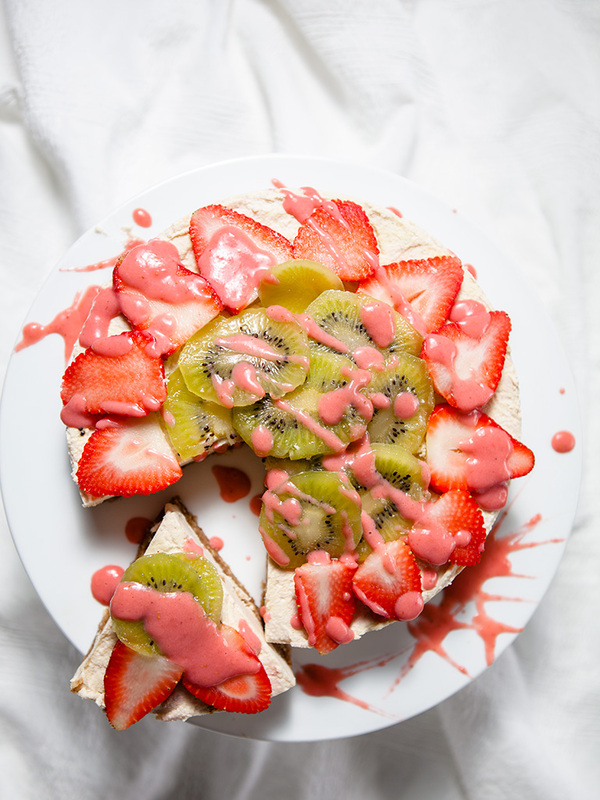 Many people like to have chips and beer on a Saturday evening but we decided it would be nice to make a Raw Vegan Strawberry Kiwi Cheese Cake for a treat. Some people say the hardest thing about being vegan is having to give up cheese, and I agreed. Giving up cheese was very hard for me as I love all varieties of cheese and of course cheese cake. At first I was skeptical weather a raw vegan cheese cake would tastes as good as the real thing. This vegan cheese cake I have to admit does come very close to that real thing. 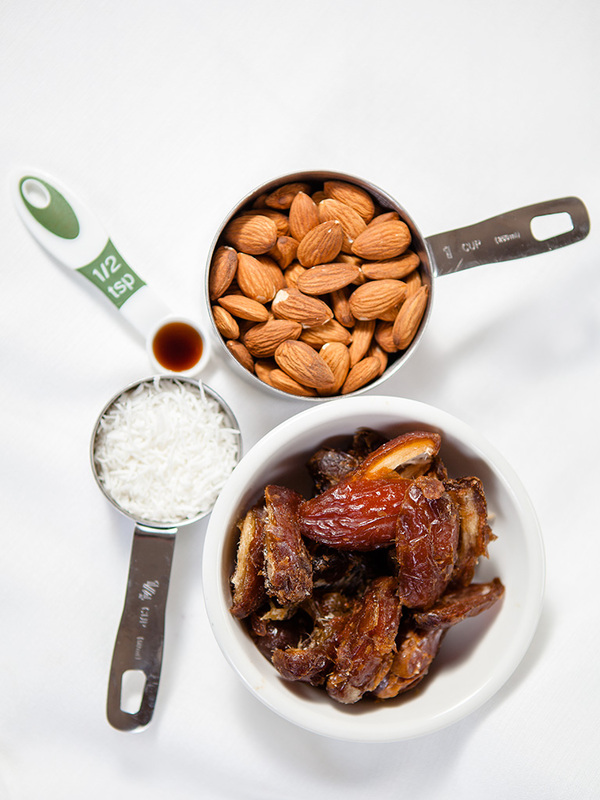 Ingredients for the crust: dates, almonds, coconut and vanilla extract. 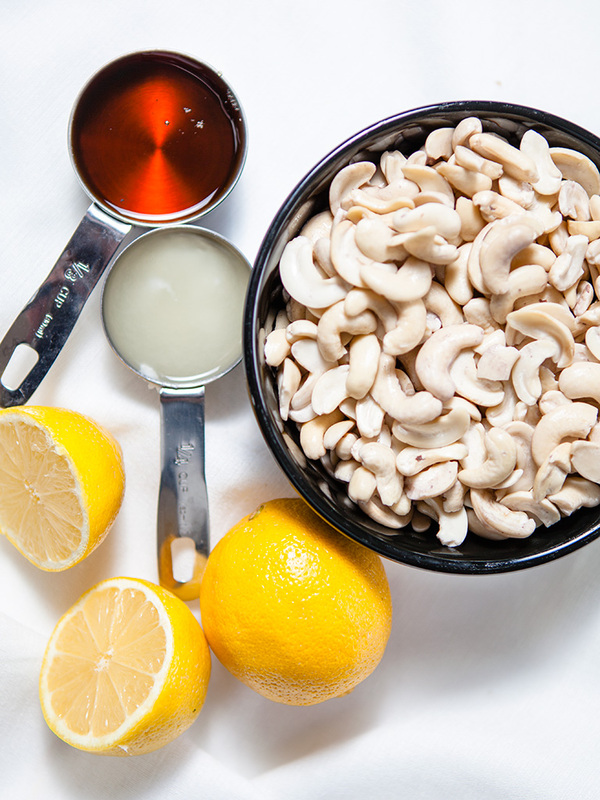 Ingredients for the cheese cake: lemons, cashew nuts (soaked overnight) coconut oil and maple syrup. 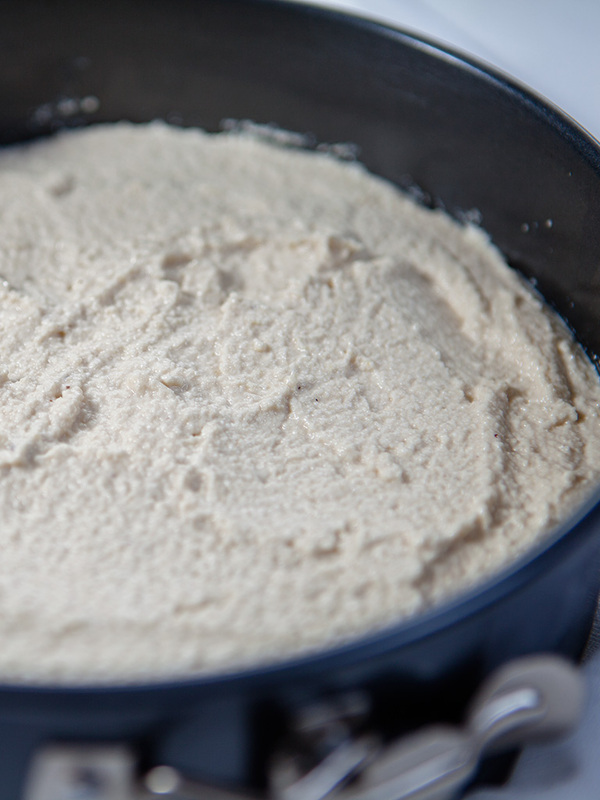 Blend all crust ingredients together until it forms a dough. Line springform pan with parchment paper and press dough into pan. Push down firmly until well compacted and even. Blend all cheese ingredients in food processor until creamy and smooth. 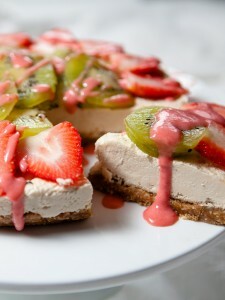 I topped my frozen raw vegan cheese cake with fresh strawberries and kiwi, with some strawberry sauce drizzled over it. 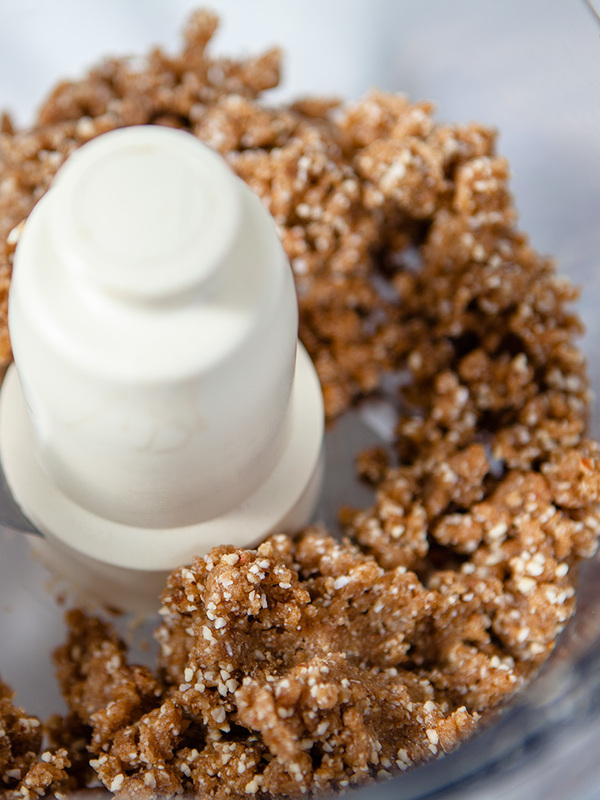 Place almonds in food processor and process until roughly chopped. Add dates coconut and vanilla process until blended together. Line springform pan with parchment paper. 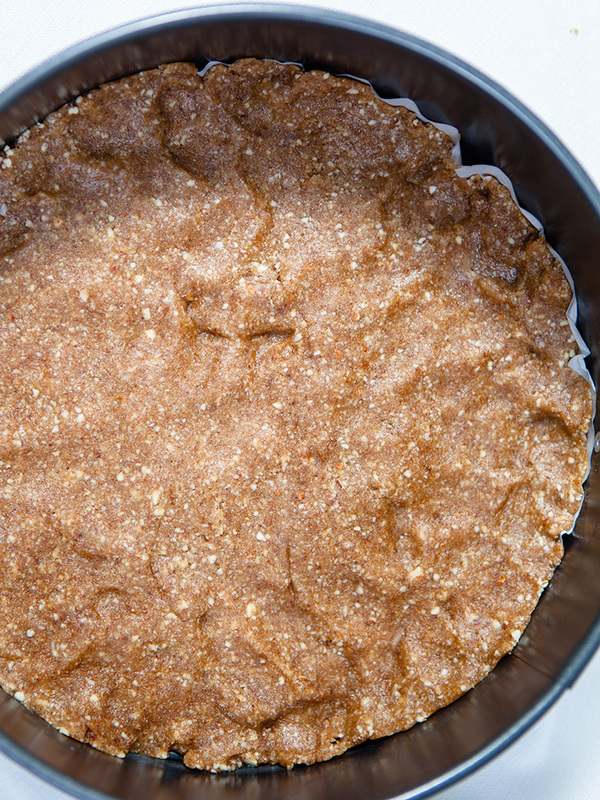 Press crust mixture into pan. 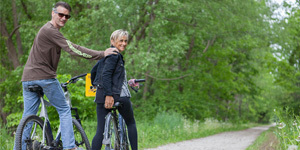 Push down firmly until it is well compacted and even. Put in fridge while preparing cheesecake. Place all ingredients in food processor. Blend until creamy and smooth. Pour mixture on the crust base. Spread and smooth around the pan. Cover and freeze until ready to use. 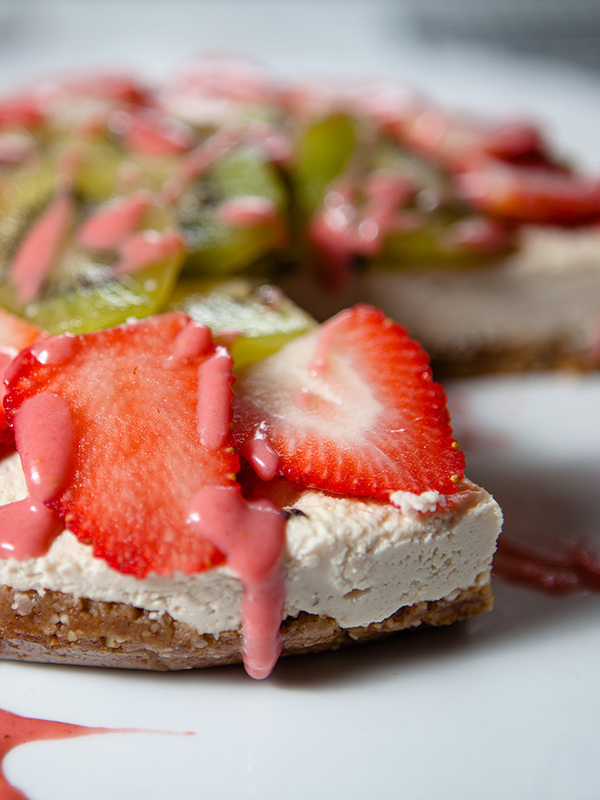 Don't dress with fruit toppings until ready to eat. If eating that day the cheese cake needs to be frozen for at least 4 hours. Then left for 15 minutes before serving and dressing with your favourite fruit. 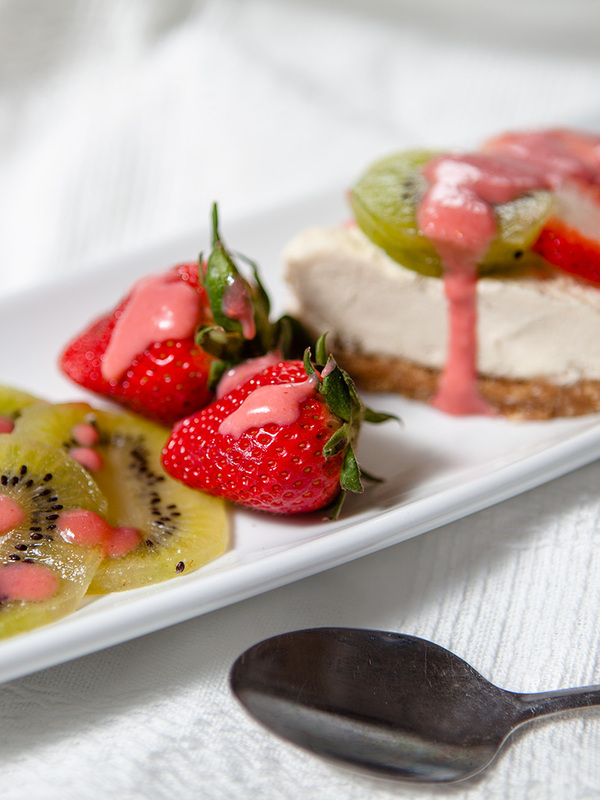 I used kiwi and strawberries for my cheesecake.